We have the best back yard - it is absolutely gorgeous and green and beautiful now that summer has arrived. 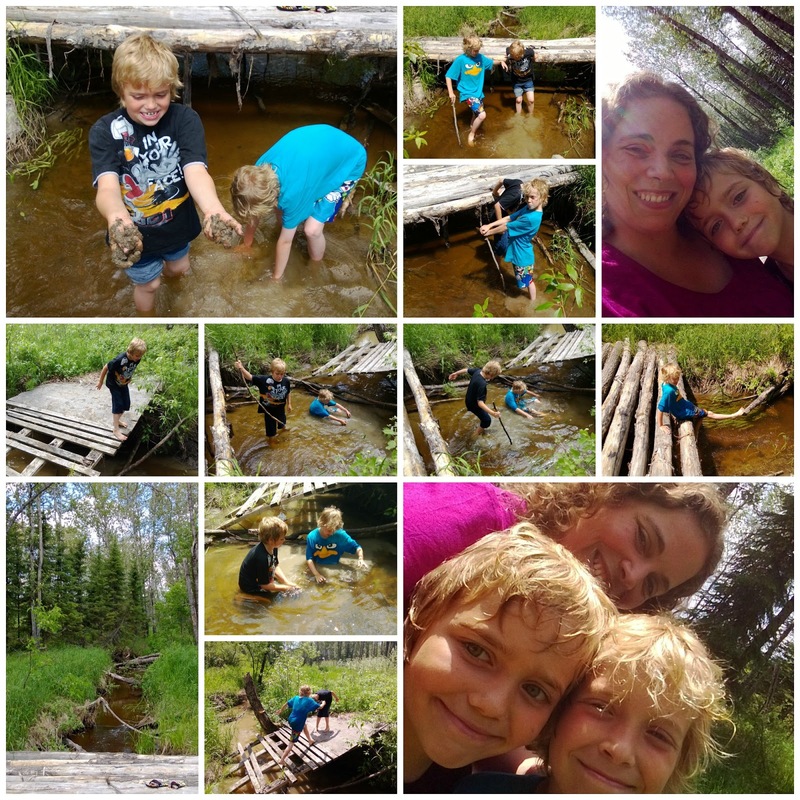 Plus there is a lovely creek that is just made for my kids to play in. My boys have decided to build "mudtopia" for the frogs and dragon flies that populate the creek area... I'm not sure the local wildlife appreciate their efforts but the boys don't seem to care. We are all just so thankful that summer has finally arrived!